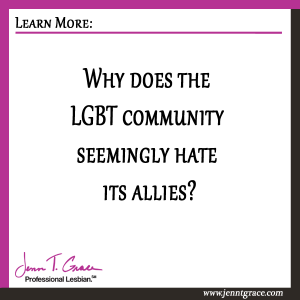 Home » Allies » Why does the LGBT community seemingly hate its allies? A prior year’s Grammys performance sparked this blog post about something I had already been aware of, but was reinforced strongly during that performance – our LGBT allies are under appreciated. Thousands of people blogged about that performance a few years ago- this post isn’t like the others. Honestly, some LGBT folks are probably going to be angry with what I have to say, but honesty is at the core of who I am, so I’ll take the heat for my beliefs. If you haven’t seen the Macklemore, Ryan Lewis, Queen Latifah, Mary Lambert and Madonna performance from the Grammys, you can watch it below. I recommend staying tuned for all 7:25 of it. It’ll help give context to my thoughts. Really listen to the words of the song. Okay, so here’s the deal – the performance was monumental on so many levels that I could take this post into a hundred different directions but I am going to focus on one specific message – We need our Allies. Period. Guess what? 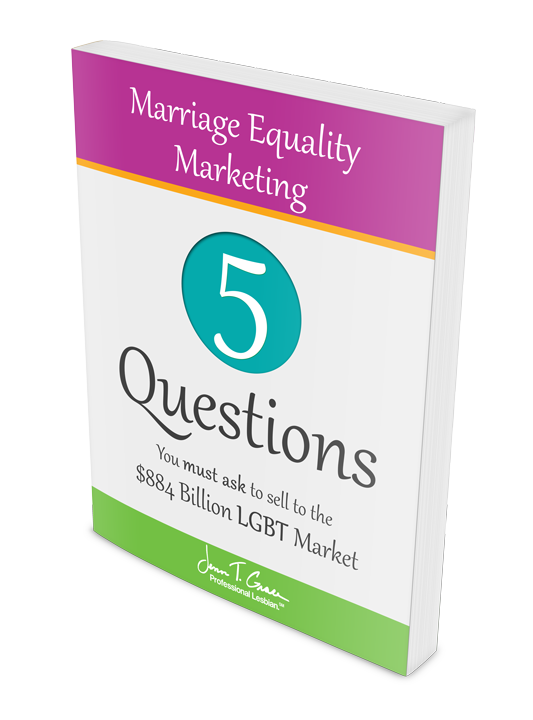 I shared those questions too but you can find those answers elsewhere. What I want you to think about is the impact that the performance had on LGBT Americans (and other countries I’m sure.) To me something happened, something significant. On prime time television people of all walks of life, whether they are pro-LGBT or anti-LGBT were exposed to a cultural awareness shift. Queen Latifah, in a quasi-haphazard manner, married 33 couples during the Grammys, many of which were LGBT couples. While this is clearly over the top, I won’t argue with that, this demonstration showed a unity for marriage equality. If you did not know this Macklemore & Ryan Lewis are both allies to the LGBT community meaning neither of them identify as being gay. (You can read this post for more on what an ally is.) During the performance I was on Twitter watching the conversation. There was a ton of positive commentary about it, and plenty of negative too, surrounding allies. I grabbed a few Tweets to illustrate my point. These are just a few examples of people within the LGBT community who are upset by an ally having a voice and speaking out on behalf of the community. 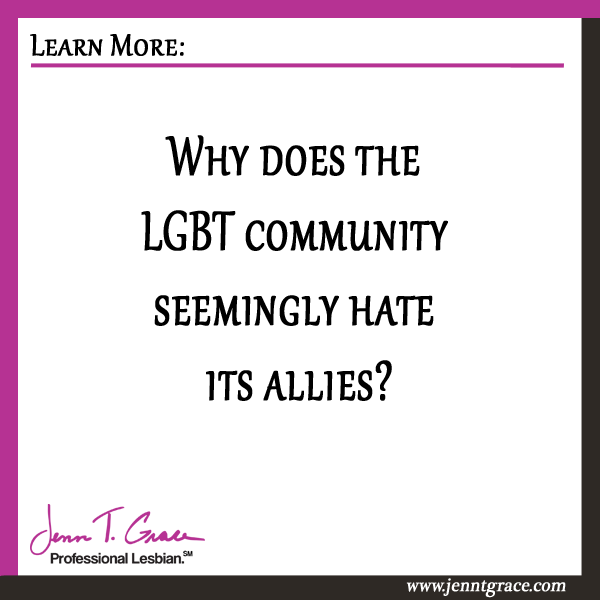 I am of the mindset that allies are one of our greatest assets – so why are we demonizing them for trying to do good and improve the quality of life for LGBT people everywhere? Now imagine, for just a moment, that you are a gay teen living in Nebraska. You are in the closet. No one knows that you are gay – not even your best friend of 10 years. In your experience it’s just not okay to be gay in Nebraska.  There are LGBT teens all across America and beyond who are struggling to survive, who have suicidal thoughts. Statistics show that LGBT teens are 2-5 times more likely to be suicidal than their straight peers. Now as that closeted gay teen in Nebraska you see the performance at the Grammys. Do you think for a single moment your thoughts would be “Ugh, I can’t believe Macklemore! How dare he call himself an ally, he doesn’t represent me or the LGBT community!” I have a hunch that your answer is no. I suppose in a way the LGBT community is making great strides by the mere fact that I have to even write about this. A Twitter conversation I had included this line “Oh yes. Pretty powerful IMO that the mvmt has come so far that we can have a debate about the role/relevance of straight voices!” This is such a valid point. But honestly, I would much rather not see our community divided over allies having voices. We should be grateful to have allies who are helping move the movement forward. There is still so much work to be done – are we discouraging other allies from speaking up for the LGBT community given the way some have gone after outspoken allies like Macklemore? I truly believe the musical performance of one ally saved the life of at least one suicidal LGBT teen. With the potential power allies and LGBT alike have – how can we in good conscience crucify an ally – whether they are famous or not? It’s time we start coming together as a community instead of tearing each other down. For the many, many, many allies reading this… regardless of what you have seen or heard someone say about being an ally – allies are good. Don’t be discouraged – keep on being an ally because we need you. 21 Responses to Why does the LGBT community seemingly hate its allies? Thanks, that was nice 🙂 It is a little hurtful for someone like me who has been an active and vocal ally since 1983 to hear the ally-bashing folks. But at the same time, I sort of get it. In 2014 so many young straight people make it all about THEM. Sort of like those guys that call themselves feminists and try to claim that their voices are more important than the women that have been fighting for rights and recognition their whole lives. Feminists and the LGBTQ folks could NOT have made the strides they have without the help of straight, white men. But at the same time, the privileged ones that have stood up as allies sometimes need to take a step back and let the light shine on the actual people that the movements purport to help. Sometimes it’s hard to tell the difference between someone jumping on a bandwagon for attention and someone genuinely working to benefit others. Thanks, Jen, I sometimes feel mine is the loudest voice in the room, this was just encouragement I needed today! Aww, thanks. Glad that was a little something to boost your day! That’s really interesting.. so even though you are closeted you would still prefer he not be a voice in an attempt to help you have the opportunity to be out of the closet? I’m really curious about this whole topic. A bit late to the party, but I had to comment and say you’re 100% right. Why are we tearing at our allies when we NEED them? It sounds like some of the lgbtqia want allies, but don’t want their voices helping raise awareness and finding help. It’s that sort of thing that will LOSE allies and then who will help? Us alone? If we push them away it will only hurt us. Because we will have no help and the people against us will have less resistance to our efforts for safety and equality. Macklemore had a message, a good one for us. Why would we rip him for doing us good? Would you prefer he were on the other side? I think not. So we need to band together instead of pushing our allies away! Hey there – it’s never too late to come to the party! I appreciate your thoughts. I can’t fathom taking away from anyone who is trying to help our cause as an ally. Allies are a critical piece to moving the movement forward. I don’t foresee a day – anytime soon – when we won’t need our allies. Thanks for taking the time to comment! Jenn, Just catching up on some of your articles. Always a pleasure. The choice I make as an ally is through my behavior, intention and how I contribute/volunteer around issues that are important to me. That intrinsic part of my being wasn’t a choice, rather something I always felt and believed, and that goes beyond the LGBTQQ community. I care about the quality of life, emotional, physical, spiritual safety available to people and our natural world. If those in the LGBTQQ community are put off, I can only honor that, and will continue to work on my emotional intelligence around who and when my “allyness” may be received or not. But it is a fundamental part of me, my values and in my heart to not be silent, to educate others less knowledgeable, perhaps afraid, and to be inquisitive about how to ferry them to another place in their heads and hearts to accept all the colors in the rainbow and those we don’t see in other dimensions. Hi Jamie! Thanks so much for leaving a comment here. You describe what it means to be an ally so well. I agree – even if some people are put off by it, that does not mean the work stops – it means you keep moving forward. When it is truly and authentically who you are, it is easy to keep on moving forward. 🙂 It’s those with unclear motives and who may appear to be pandering to the community, that would have problems moving on – which clearly you are the furthest from. Thanks for stopping by – miss you! Hope the West is treating you well! I have been an ally since the 90’s and I’m starting to feel so unwelcome that I’m on the brink of just checking out and staying out of the fray going forward. It seems like being an ally now is interpreted as meaning that you have a savior complex and you are infantilizing gay people in some way. And the hostility is hard to take when you have spent so much time and energy trying to be supportive over the years. And I see this attitude manifesting in other human rights domains. I am a feminist woman and I keep seeing a general hostility from other feminist women toward men who genuinely want to do the right thing by us. I think it’s perhaps something to do with making our marginalization a central part of our identity–it’s healthy to be identified with these parts of ourselves, but we can get rigid in them to the point that we are exclusionary to those outside “the club.” It feels like we’re becoming isolationists in our little factions of marginalization and I suspect it’s not a good thing for any of our equality goals in the long run. 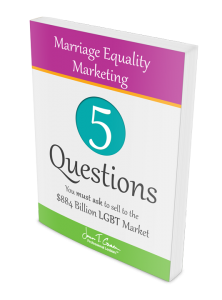 Tara – thank you for taking the time to read my blog and for reaching out. I whole heartedly agree with your sentiments, which is why I thought it was important to address in one of my blogs. Sadly, your observations are spot on and it’s tragic because we truly need our allies to make progress. I’m hoping that this changes in the future! Hey Tara, as one friend/ally to the community to another, I want to tell you something. As an ally to the community, the good you do, as well as the potential you have to change peoples lives in the community for the better, is immeasurable and important, and don’t let anybody, either inside or outside the community, tell you different. Ever. I understand how frustrating and dispiriting it can be to be spit on by members of the very group you are doing your damndest to help, especially when you believe strongly in the cause. But remember this, much like certain(so called) feminist groups you mentioned, the lgbt people that treat their allies like crap are only a small minority of a minority of the lgbt community. The rest of the community loves you and values your support, and they regard you as family and an integral part of their lives. Always remember this,Tara. Any time anyone tells you that because you don’t have a valid voice or opinion because you don’t belong to the particular group, just ignore them and keep doing what you do. And if these individuals keep trying to put you down, tell them that you mean business and aren’t going to deal with their ‘You have no opinion because you’re straight’ garbage. Because whether or not these specific individuals see it or not, you are absolutely important. Fortunately, the rest of the lgbt community sees it, and sees you like the family you are. Support what you believe in, always. Stay strong, Tara. I am bi and I was their time and time again since my teens. A little more harder too. I am really content on helping trans people because I feel them but I was called “bi-het” “hetero by proxy” etc because I had hetero friends and a group of bi friends who are just happy and living life and I had to go back to the happy ones. I was damned if I do and damned if I don’t. I tried the bi community too thinking it was a place I could get my other bi friends to and I asked why bi people in the hetero community are all demonized and to provoke progress and compromise and essentially was told, if you aren’t aiming to care about LGBT and living great there, you are nada. I am bi so I was always hurt and confused as to why they hate the very people us and you guy who did the best they could to suit their needs. They all hate each other too. I haven’t been happier. I tried. I am there for trans people and I am bi and have seen lesbian after lesbian trashing and abusing bisexual women. I couldn’t handle it. I was told by an older guy that bi people are horrible because David Bowie and them all were over in the hetero community during AIDS and I said back, “you brought it here and unlike other people, we got blamed for it. I was ready to commit suicide in there when I thought I was doing so much to contribute but it was nothing. I cried. I felt like the help. Wow, thank you so much for taking the time to respond to this blog post. I appreciate your views and experiences on this, albeit challenging at times. Some days are tougher than others but keeping plowing along and making a difference in this world! Thanks for writing this post. I’m in support the LGBTQ community and try to educate my friends and relatives from my country, where homosexuality is illegal btw, to be accepting of others. This came about “simply” from watching my son grow and asking myself how people can turn away from their flesh and blood because of who they love and that spurned me to “advocate” for others. Now, I’m not much for Social Media but I’m on Twitter and the fights I’ve seen about “hetro” and “cis”people and allies actually made me crawl back into my cave. I totally understand that no one can walk in someone else’s shoes as they live the issues daily but isn’t the point of bringing awareness a call for change? A call to change people’s thinking? I don’t know the struggles but I have humanity and would like all the suffering to end because it truly hurts my heart but now I’m too afraid to ask a question or even say I support. It feels like I should be given a checklist to be a supporter: do this, this and this, then it’s ok to say you’re an ally but I still don’t know where to find that checklist. So now my way of helping is saying nothing at all and I’m saddened because it seems contradictory and counter-productive. However I continue to teach my son, now a teenager, to be accepting of everyone and he knows that it’s ok for him to be different and love whomever he wants to. Thank you, Stella, for taking the time to reach out. I am glad that this article resonated with you. 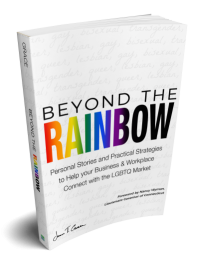 I agree that social media can often be a difficult terrain to navigate, particularly as it relates to LGBT related issues. We need more allies like you and more parents teaching their children acceptance. Thanks again for taking the time to read and comment. Thanks for your comments and taking the time to share your point of view! I’m glad other people in the community are speaking out against SJW that are attacking our allies. When it comes right down to it “straight voices” will never be perfect at articulating what its like to be LGBT because they have not lived it. However, that is perfectly fine with me. I am so thankful that straight people value random LGBT people enough to speak up on our behalf and advocate for our freedoms and rights. Do allies always “get it right”? Absolutely not. But the fact that they are sincerely trying to improve the lives of our community is enough for me. Additionally if empathetic people aren’t worried about “saying the wrong thing” it gives a tremendous opportunity to create a dialogue so they can understand what its like to be LGBT. While our Allies certainly aren’t perfect I am extremely grateful for all they have done and continue to do. Our community needs to take a moment to appreciate all our allies have done for us and carefully monitor each other’s dialogue so we are not driving off people who genuinely care about us. Thank you, Charles, for taking the time to read and provide your feedback – I agree our allies are extremely important!